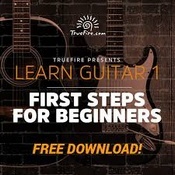 To help you find the Best Guitar Lessons, TopConsumerReviews.com provides you with an in-depth comparison of Jamplay and Jamorama. The Jamorama guitar learning courses are delivered via a single, easy-to-use online user interface via your computer. It is a social network of guitar students that relies on community to help students learn from each other as they take the courses. On the Jamorama website, you participate in activities such as watching video lessons, collaboration, gamified profile achievement badges, discussion forums, activity posts, and messaging with other students. Jamorama tracks your progress through each of the lessons in each of the courses. Each course begins with an introduction video and then progressively adds more information, technique, and practice scenarios the deeper you go into the lessons. Lessons are divided up into weekly groups of between 2 and 10 or more topics per week and consist of videos and exercise PDF files you can download and print. You can begin with the free basic access plan to get your feet wet and see if the system will work for your learning style and time that you can devote to lessons. If you find that the community-based learning method is a good one for you, then you can upgrade to the $99.95 one-time paid membership which unlocks all the Stage 2 lessons and beyond, plus pro features for when you get to that level of ability. If you’re not fully satisfied with your purchase, Jamorama allows 120 days for a full refund. A separate set of song lessons walk you through how to play popular and familiar songs. For example, songs like Fields of Gold by Sting, Don’t Dream It’s Over by Crowded House or I Still Haven’t Found What I’m Looking For by U2. A blog section on the website has articles on various guitar techniques, artists, courses, gear, lessons, and news. And a forums area is available where students can discuss their progress in the courses. Unfortunately, it looks like the blog has not been updated for about two years and the last forum post is nine months old as of this review. Jamorama seems like a solid approach to today’s trend toward online learning courses. However, the lack of new blog posts over the past two years and the lack of new forum posts over the last nine months gives pause. If that part of the site has been neglected for so long, what if there are other parts that need updates but are no longer maintained? And is the community strong and diverse enough to help newer learners just joining the platform?